Survivors Voice was first created in the first Daughter Arise Awareness Event by me, its Founder Yvonne Ellis in September 2013. I created a space within the event to allow survivors of Sexual abuse a space to share their own journey of how they came to be sexually abused, how it affected their life and their journey to healing. 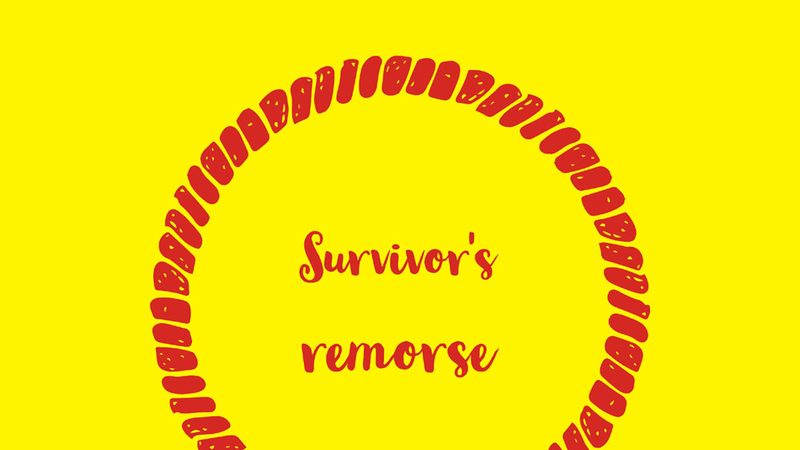 At our Awareness Events, survivor’s voice has proved hugely popular, encouraging and inspirational to other survivors who are trying to find confidence for the first time to help find their voice and insightful to those who have not known how abuse hurts lives. This page serves to build on what has been started in these events. It is a space for other survivors to share and express themselves in a safe way. This page is a mixture of poems, short stories and words of encouragement to help others. The comments and content on this page is moderated by me and I help survivors to present their work where needed. I hope you find this page encouraging. While other did version of the same.. Mine began when I was just three.. In hopes of helping someone else who has been sexually assaulted; I am writing from a place of vulnerability. I never imagined I would get to a place where I would be able to talk about my experience with sexual assault, but here I am. In 2015, I was sexually assaulted. The assault was very traumatizing. I didn’t think I would recover from it. The night of the assault is kind of still a blur, because I was well over my drinking limit and I was in a state of unconscious-consciousness, if that makes any sense. I was in a car full of men and I remember laying my head against the window with my eyes closed. I could feel someone touching my shirt and I removed his hands. The next memory I have is waking up in the car at someone’s house and being told that I needed rest. I remember telling him to just take me home. I didn’t know where I was, I couldn’t find my phone and at this point; I had to urinate. I got out of the car with the force of another man helping me out and assisting me to where the bathroom was. After using the restroom, I opened the door to a hallway full of men and I asked again, “if I could be taken home?” They just looked at each other and one of the men spoke up and told me to just lay down and they will take me home soon. I went into the room were there was only a twin sized bed and a side table and other things around. My throat was parched and I asked “if I could get something to drink?”, I was given a cup of liquor. I rejected and proceeded to lay down on the bed. I remember hearing the voices of people talking in whisper. I was exhausted and my body was ice cold. The next part of my this story I am choosing to keep direct. I have not completely healed from this traumatic experience. Shortly after laying down; the door opens and it was so bright all I could do is squint and see the first man enter the room…. I physically could not fight back; my body was paralyzed and it was unexplained. I remember the pressure put on my legs and wrist; the sense of others around me. One after another they had their turn. I woke up and it was probably 6-7 am. My clothes were on the floor, I had to search for my phone which was dead and I wanted to go home. I went downstairs and someone was in the kitchen I asked him “if he could take me home?” He said ” I don’t have any gas in my car.” one of the other men offered me money to get a cab and another offered to take me to a hotel and he would have someone take me home later. I said “no ,I want to go home.” finally, one of the men agreed to take me home. I only allowed him to drive to as close to my house as I would allow. I walked the rest of the way. Once I was home, I showered and cried for at least 30 minutes or more. I was numb and in the words of my therapist I had “disassociated myself from the reality of what had happened”. I felt like I was in a dream. The entire day I buried myself in bed and didn’t want to deal with the world. This feeling lasted for at least a month. Today, I still deal with the trauma of the assault. I blamed myself. I went over and over ever moment leading to what had occurred. I was disgusted with myself. My self worth was compromised by the hands of men who I didn’t know. I tried to remember any details I could to piece together who was responsible for what had happened to me and all I could come up with was MYSELF. I know that I have to forgive the men who did this to me; in order to release the baggage of the assault. I know that I can only do that through God. As of now, I am not in a place of forgiveness, not even for myself. I hope one day to get there. What I would say to survivor’s of abuse and what has helped me in my processing of healing has been the word of God. I am blessed and greatful to be able to call on him in my time of sorrow. God has sent me some amazing new friends, I changed therapist in time of this process. What has also helped me is knowing that I am not alone. Many fellow blogs/bloggers testimonials and writings have kept me encouraged. Each day is getting easier by knowing this battle is not mines alone. It’s not just for me; it’s for daughter’s, sister’s, cousin’s, friend’s and women who feel that they are at a losing battle. Healing from any traumatic experience is not done in a certain time period. Healing is a life long process, it doesn’t end when you feel secure. God’s plan for us is always for our good. For years I painted a smile on my face. Mac make up to make up for the childhood I lost. To grow up fast your childhood taken. Some of you will never know the cost. Because it happens in my family. He stole my childhood and replaced it with sexual desires. Did I actually really want to die? It healed some of my hurt. Every day he is moulding me. Open your heart to receive he will open your mind. I hope I can encourage just one on my journey. Real honest poem Cheven. Thank you for your honesty, you are an encouragement.